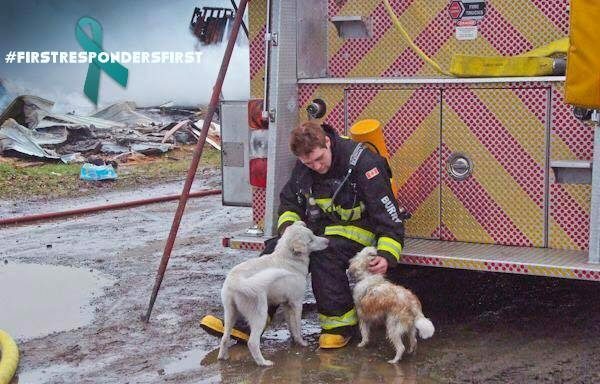 This photograph captured by Wawa-news of Chris taking a couple of minutes away from his first fire to calm the two puppies that were running around the trucks. 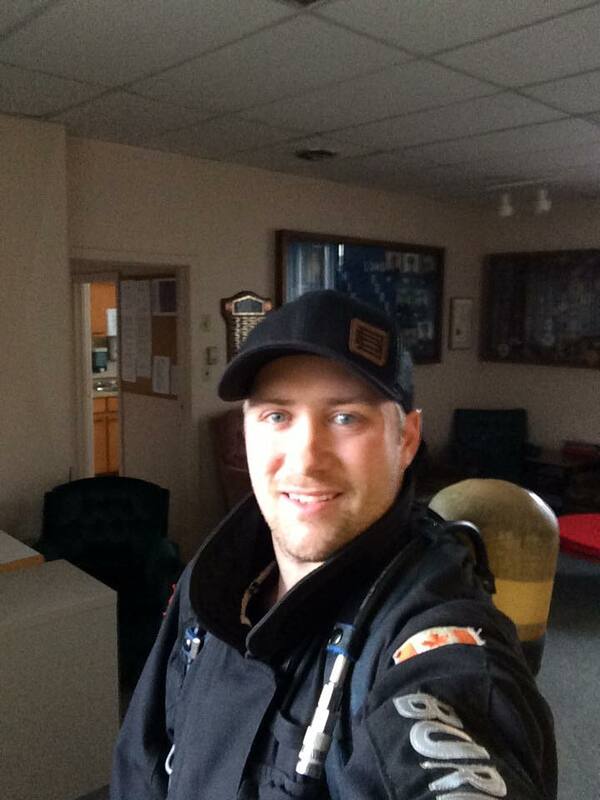 Not known at the time of the photo, this was the scene of a fatal fire in Missinabie, a brutal start to begin your career in volunteer firefighting. 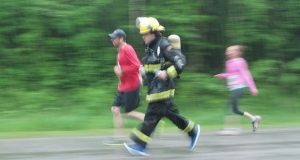 …no it is very special this year, because one of our Wawa Volunteer Firefighters is donning his bunker gear about fifty pounds worth, and running a 10km marathon #helpingheroes; although he does admit that heat will play a role. 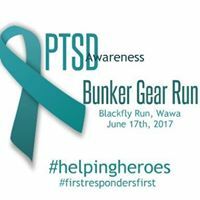 Chris’s run and the monies that he will raise will benefit the mental health program at the Lady Dunn Heath Center And Wawa Family Health Team, by helping to fund PTSD Awareness Training and Education for emergency services within our community and surrounding area. If you want to support Chris, you can purchase a wristband for $5.00 and/or a shirt for $20 each. 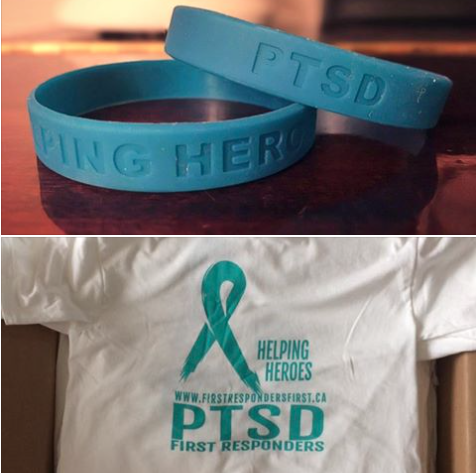 The monies will go towards PTSD First Responders Awareness Training and Education for Emergency services, and The Lady Dunn Health Centre Foundations Mental Health Program. 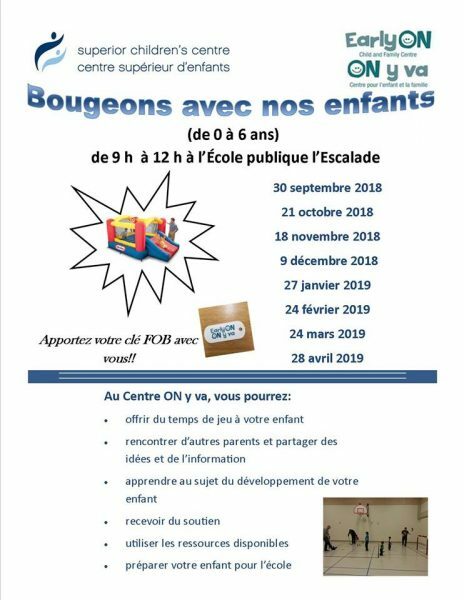 Click here to go to facebook for more information.